Certain frequencies have been found to be particularly beneficial in promoting healing and rejuvenation. 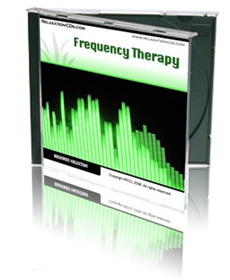 This CD combines them in sixty minutes of intensive therapy for your mind and body. The CD begins with relaxing music, designed to calm your mind and relax your body. Then listen as soft music and tones combine to generate these natural healing frequencies. And afterwards you’ll feel relaxed, refreshed and in harmony with your body. Keep using this CD and not only will you feel happier and healthier, you’ll almost certainly feel younger as well!